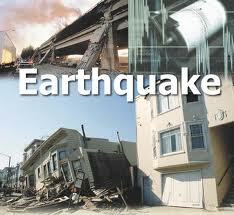 Earthquake shocks felt in New York -- Hurricane on the way ! An earthquake aftershock was felt here at our office in New York City about a half hour ago. Apparently an earthquake hit Richmond Virginia, registering 5.9 on the Richter scale and the shocks were felt all the way to New York. Several of us here in Irishcentral's office felt a shaking but I personally thought it was some construction work. We are expecting Hurricane Irene this weekend. Perhaps it's the end times!